According to the Occupational Safety and Health Administration (OSHA), 350 people are killed by electricity each year. Even for experienced electrical workers, a high voltage is dangerous. Electrical hazards can be experienced in the office, warehouse, or on the production floor. What are some of the dangers of working with high-level electrical output? How can you keep your employees safe? 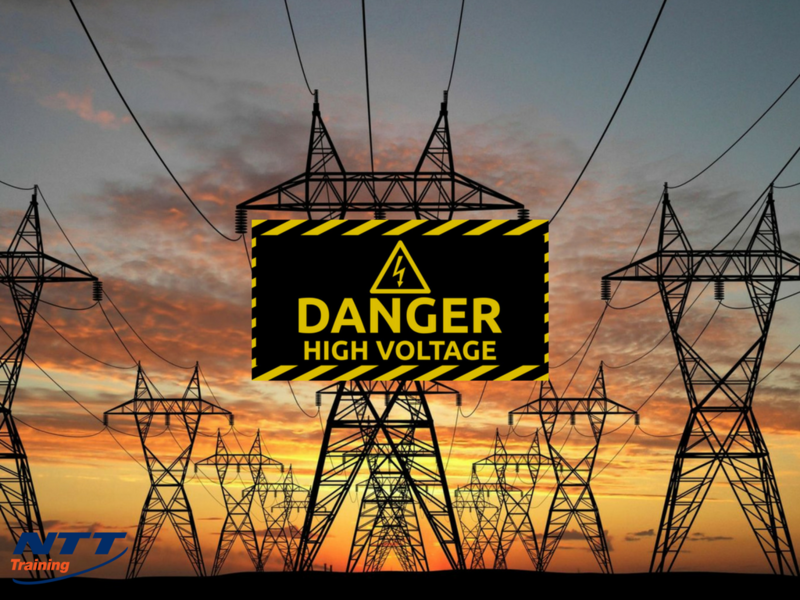 High voltage is any amount of electrical output that could cause harm to a living organism. Power lines, circuit boxes, and power supplies for large equipment channel enough power to cause serious injury. In the body, high levels of electrical current can cause severe and often irreversible damage. Electrical burns can damage body tissues. Third-degree burns on the contacted skin are possible. Longer exposure can cause internal damage. If large areas are affected, the victim may need transplants of the skin or other organs. Damaged limbs may be amputated. Electrical charges disrupt heart function. Mild shocks may cause temporary arrhythmia. More prolonged exposure can damage the heart muscle or even cause full arrest. Sound waves from arc flashes can damage delicate inner ear structures. This damage may be permanent. The severity of the damage a worker receives depends on a number of factors like how close the victim was to the blast, the type of personal protective equipment they were using, and the duration of the exposure. You can help your employees avoid electrical injuries by establishing good safety practices. De-energize power sources when servicing equipment. Provide adequate personal protective equipment for workers accessing high voltage areas. Encourage the use of insulated tools and clothing to protect the skin from conducting electrical currents. Ensure proper grounding of circuits and outlets to prevent sparks. Keep conductive metals away from high voltage lines or have them insulated to avoid arcs. Provide a written safety plan that details how to work in high voltage environments. A formal training is the best way to prepare your employees for working in high voltage areas. A group training offers many benefits. Your employees will be able to motivate each other through the training. Holding one group training ensures none of your employees misses out on important information. Training led by a qualified instructor give your employees the opportunity to get reliable answers to their questions. The best way to protect your employees from electrical injury is to give them the knowledge they need to keep themselves safe. A formal group training from an experienced instructor is the fastest way to make that happen. The Arc Flash Electrical Safety & Utilization of High Voltage seminar from NTT Inc. is the perfect way to get your whole staff trained to deal with the dangers of electrical charges in the workplace. This course is designed to meet the training requirements of OSHA rule 1910:331-335. Office administrators, service personnel, and safety directors will benefit from this training. Contact our representatives now to complete your registration.